E3 has come and gone once again. Amidst all the big announcements, awesome games, and presentations that aren’t nearly as bad as people are making them out to be, the event itself, while not without its highlights, was ultimately one of the lesser E3s of recent years. But, even if the show didn’t quite reach greatness, it still gave us a glimpse of some great games. Here are my top 5 games presented at the show…but first, some runners-up! 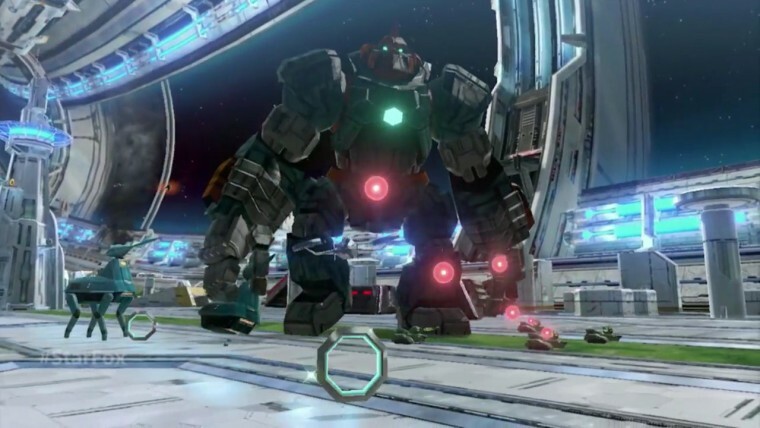 If the words “from the makers of Mega Man and Metroid Prime” don’t excite you, then I pity you. 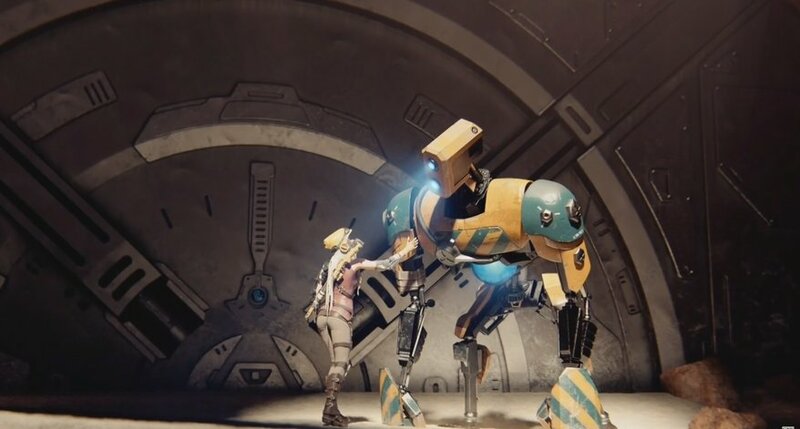 ReCore looks like a fun concept – controlling a playable character who in tern controls various robots through the same energy core – created by some revered minds in the industry. It may have cracked the actual list if there were more than just a trailer. 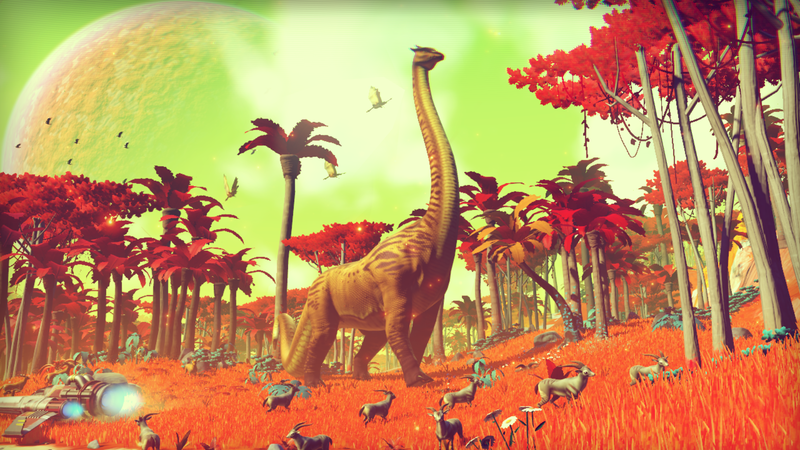 No Man’s Sky is nothing short of ambitious, as it essentially aims to be its own galaxy of a game. Though my enthusiasm for it is a little more subdued than most, since I also fear that the game’s emphasis on sheer scope might end up being a drawback (the creator’s themselves even claim most of the game’s planets “will never be discovered.” Which has me worried the game could end up being one giant, empty experience). With that said, should No Man’s Sky meet its potential, it will be one hefty accomplishment. 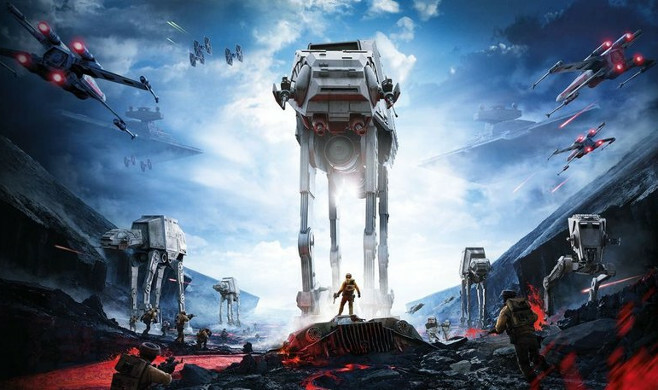 Some people couldn’t be happier to see Star Wars Battlefront make a comeback. Others, in typical gamer fashion, are ready to dismiss the game based on the tiniest changes. Consider me a member of the former party. If a game lets you be so immersed in the Star Wars universe, why complain? And now, let’s move on to the top 5. Uh oh, I listed a Mario game above an Xbox One title, an incredibly-hyped indy darling, and Star Wars. Clearly this means I’m just a Nintendo fanboy. Because internet logic. 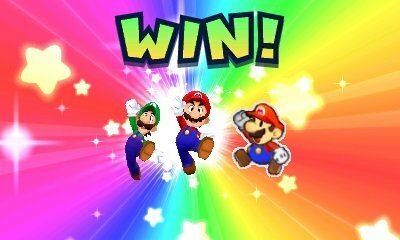 Although I still long for either a sequel to the original Mario RPG or a brand new Mario RPG with no direct relation to the existing series, Paper Jam looks like a great way to not only combine the two ongoing Mario RPG lineages, but breathe a new life into them as well. It may not be the “big surprise” Nintendo fans were hoping for, but if this ends up being as good as, say, Bowser’s Inside Story, it will easily be one of the best games of the year. Oh, Nintendo fans. You clamored for a new Star Fox for nine years, then as soon as you see it you dismiss it because it’s starting anew. That, and also because it’s not Zelda. Because Nintendo fan logic. I actually love the idea that Star Fox Zero is going back to basics, abandoning the unmemorable characters and awkward gameplay changes made to the series post-64. This is exactly what I wanted from a new Star Fox: Hitting a reset button on the series, taking what made Star Fox 64 such a beloved game, and expanding on its blueprints for a more modern generation. After all, it would be terrible if Star Fox were to end up in the same boat as Sonic the Hedgehog, and that’s the road it was going down up until now. I have heard some complaints that the Gamepad is a bit forced in segments, but this is hopefully something that can be ironed out in the game’s last few months of development. The lack of a multiplayer option is also baffling, especially in this day and age when Nintendo seems to be excelling in that department with the likes of Mario Kart and Super Smash Bros., not to mention the company finally seems to be getting the hang of online multiplayer as shown with Splatoon. But when it comes down to it, there simply aren’t many games that work like Star Fox anymore. I long for the days of short campaigns that demand countless replays, high scores that need to be bested, and colorful stories void of pretentiousness. Hopefully, Star Fox Zero can make an old series feel new in the best way. Speaking of old designs made new, here’s Cuphead! Cuphead is not only aiming to make the run n’ gun platformer a thing all over again, it also seeks to replicate the look of 1930s cartoons, right down to the insane surrealism. So far, the game looks to be living up to its promises. Here’s hoping the final game is as striking in gameplay as it is to behold. Some are disappointed to see that little has changed from The Last Guardian’s initial 2009 PS3 reveal to its current PS4 form. I suppose it’s a fair skepticism, and I myself am a little concerned that the player’s role could be relegated to simple button presses to activate predetermined events. But now’s not the time for worry, I feel now is the time to simply be happy that this game still exists (I know gamers and happiness don’t usually mesh very well, but let’s give it a shot for once). The fact of the matter is Team Ico makes beautiful games. Some claim that the indy gaming scene has stolen some of The Last Guardian’s thunder with their own artistic merits. Though I personally don’t see it as a bad thing if there are more people trying to make artistic statements in the gaming scene. And – at the expense of becoming the enemy of every gamer on the internet – I feel the Team Ico titles feel less hamfisted and pretentious than most of the “artsy” indy games of today. It’s not only the artistic qualities that make Team Ico’s games stand out, however, but they are also notable for their uniqueness. While much of The Last Guardian remains shrouded in mystery, it has the potential to be a stand out gaming experience akin to Shadow of the Colossus. And if it’s even half the game Colossus is, it will be quite a game indeed. When Mario Maker debuted at E3 last year, it was an intriguing curiosity. Now that Nintendo has shown off the game’s true potential as Super Mario Maker, it looks like it could be one of the greatest things Nintendo has ever made. A bold statement, considering the Big N has provided some of gaming’s most definitive experiences throughout the years, but Super Mario Maker looks to be a dream come true for many (self included). I’ve seen too many people on the internet complain that Mario Maker is a mere “copy” of ROM hacks, but I feel such claims are a bit ignorant for two key reasons: The first is that hacks can only be made by those with a knowledge of hacking, so those of us who lack such knowledge – even if we have deep understandings of game design itself – are left out of the loop. 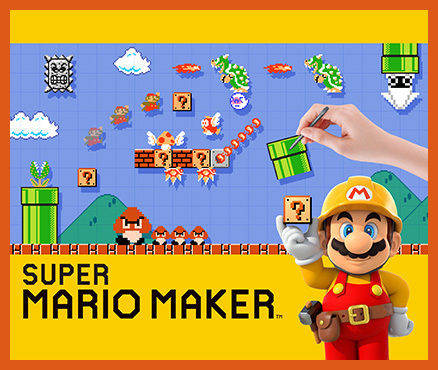 Super Mario Maker opens the door for anyone to show their creative potential. Will everyone make a great game designer? Of course not. But Super Mario Maker will give us easy to use tools to showcase our creativity. The other reason is that hacks come with a lot of baggage. Bugs, glitches, crashes, and a general unfairness plague unofficial games. Super Mario Maker, on the other hand, looks to be a smooth, polished experience. You also have to be able to best your own stages before sharing them with others, ensuring a sense of fairness to go with the technical polish. With Super Mario Maker, not only can gamers make Mario levels that work within the series’ traditions, but also levels that deconstruct its very rules. Those inviting mystery blocks can become deadly traps, and usually pesky enemies like Lakitu’s can suddenly become allies and toss power-ups Mario’s way. Mario can hop aboard Bowser’s clown vehicle and Bowser can, in turn, ride inside of Kuribo’s shoe. It baffles me that so many Nintendo fans are crying foul about the studio’s E3 showing due to Zelda’s no-show. As far as I’m concerned, the sheer creativity and potential showcased by Super Mario Maker made me not even notice Zelda Wii U’s absence. E3 2015 may not have been a great year for the event, but these games (and a few others that I feel guilty for not mentioning) have me looking forward to gaming’s near future. 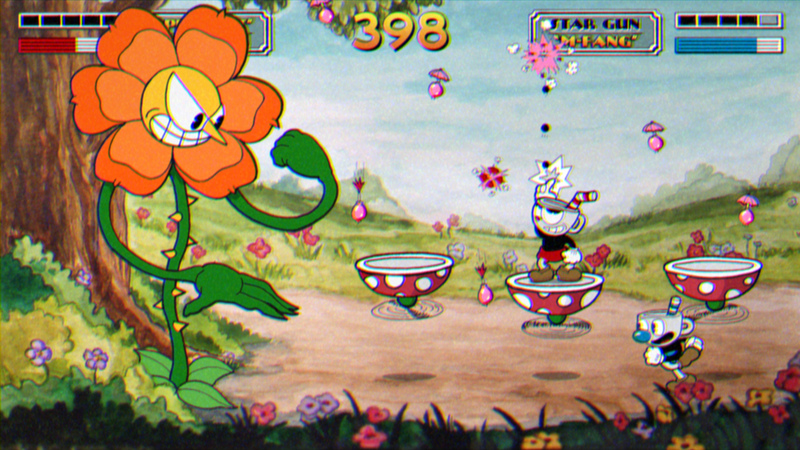 I had not heard about Cuphead, but it looks awesome! Visually, it reminds me of Disney’s Silly Symphonies. As far as Nintendo goes, I agree with the games that cracked the Top 5 and their respective positions. Plus, the fact The Last Guardian still has not come out – I remember when it was revealed a long time ago – makes me happy Nintendo only shows games that are coming soon. That’s been a problem I’ve had with Sony and Microsoft (especially Sony) for years. They’ll announce games that are due to be released years down the road, often times things can go wrong in that time. 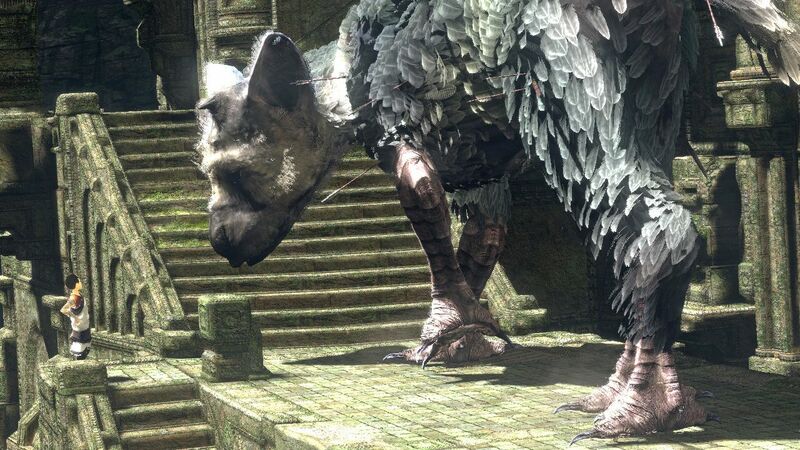 The Last Guardian nearly faded into myth before it was brought back. People want to put so much focus on the hype for the years ahead, instead of focusing on the now. And that can become a problem. http://www.gamespot.com/profile/GSJones1994/blog/rant-literally-shin-megami-tensei-fans-in-2015-sou/26071991/ – You thought Star Fox Zero and Mario Maker were hated a lot? Well, this game is getting similar amounts of hate to what Wind Waker got in 2003, if not worse. So yeah, that’s from my GameSpot blog page if you want to check that out because I think you’ll find in interesting. SMT x FE and Star Fox Zero are the games that I’m interested in the most, and I think I might actually get a Wii U during the winter, even though I’m still saving up money and focusing on what else I want to do in college.